It’s almost cracked knuckles, sandpaper skin, and scratchy throats season (also known as fall and winter). When the humidity drops from the air, it's palpable. That’s why some people rely on a humidifier, which moistens indoor air, to keep symptoms at bay. “Using one can help make your skin, lips, nose and throat not feel as dry,” said Dr. Emily Pennington, a pulmonologist at Cleveland Clinic. Simply put: it’s a comfort thing. One warning: If you have a breathing disorder, be very careful, said Dr. Jonathan Parsons, director of the Asthma Center at Ohio State University Wexner Medical Center. 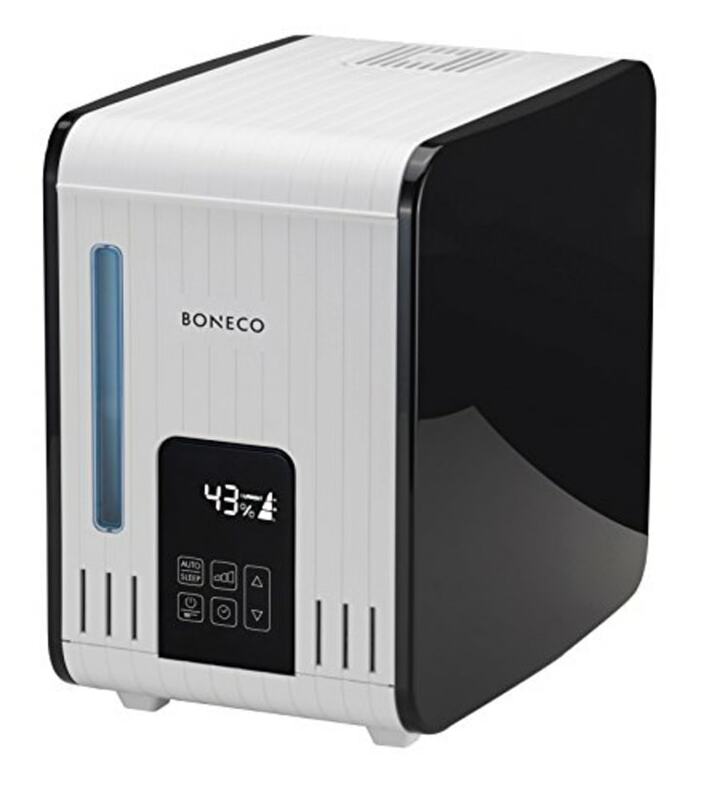 Over-humidifying the room or failing to clean the unit properly can lead to the growth of mold, mildew, bacteria and dust mites, which can exacerbate allergies, asthma or other pulmonary conditions. If you're looking for something to specifically filter the air, look into getting an air purifier. Empty the water daily and rinse the base. 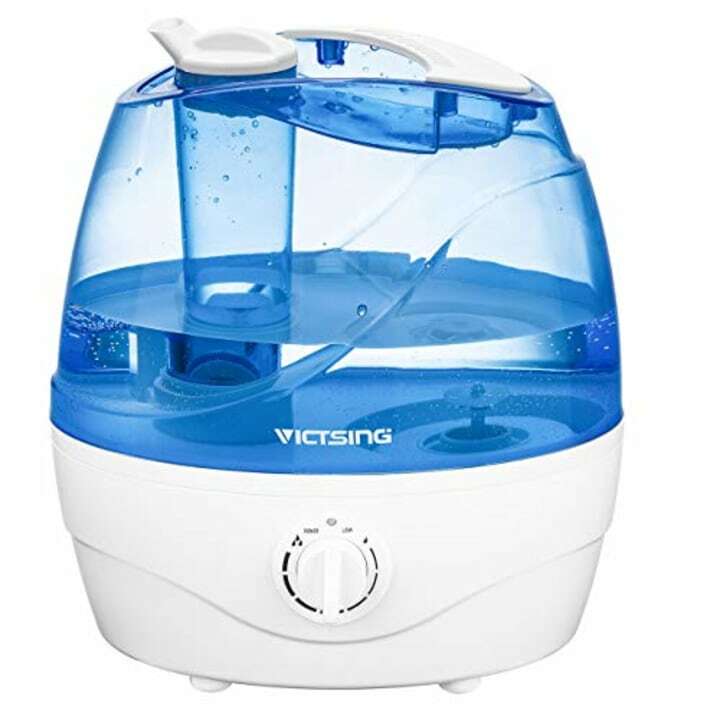 Pennington recommended cleaning a portable humidifier every 72 hours — this requires scrubbing the tank to rid any built-up film. You’re also best served using distilled water. Otherwise, naturally occurring minerals can build up in the tank and compromise air quality. Another word of caution, when it comes to the vapor, more is not better. Keep humidity between 30 and 50 percent, advised Pennington. Some models have built-in humidity monitors. If they don't, Parsons suggests buying a room hydrometer, which can be found inexpensively at the hardware store. One online option: AcuRight's Humidity Monitor is available on Amazon for just $12. 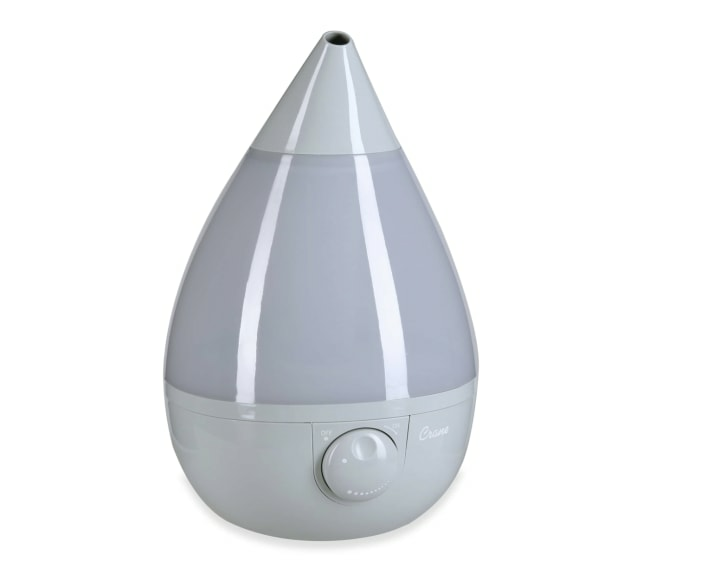 The best-selling humidifier on Amazon right now is an ultrasonic cool mist device. Ultrasonic cool mist humidifiers run quietly, so they’re best for bedrooms, said Pennington. The dial easily controls the steam output — and that’s important to temper the humidity in the room. The one-gallon water tank makes this especially great in larger rooms up to 500 square feet. 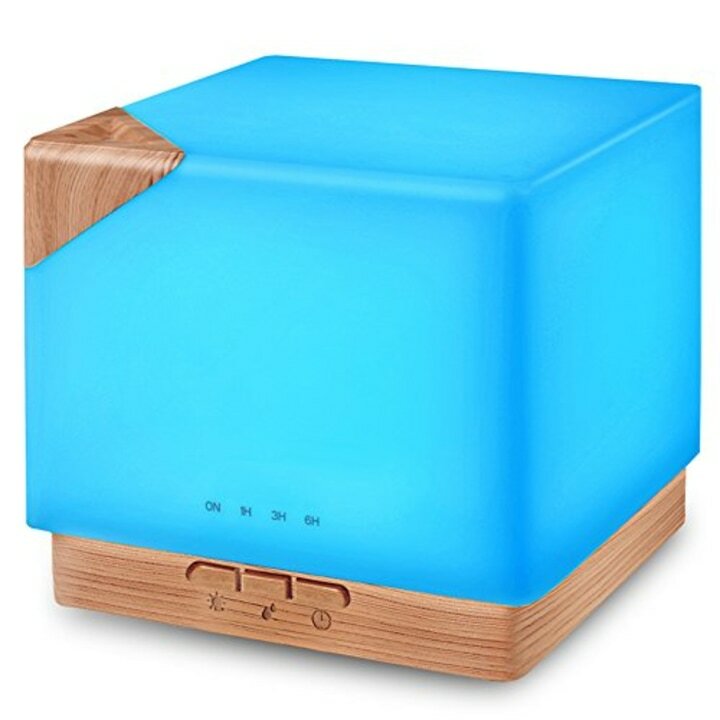 This ultrasonic humidifier doubles as an aromatherapy diffuser and illuminates in a variety of colors, so it’s as beautiful as it is practical. 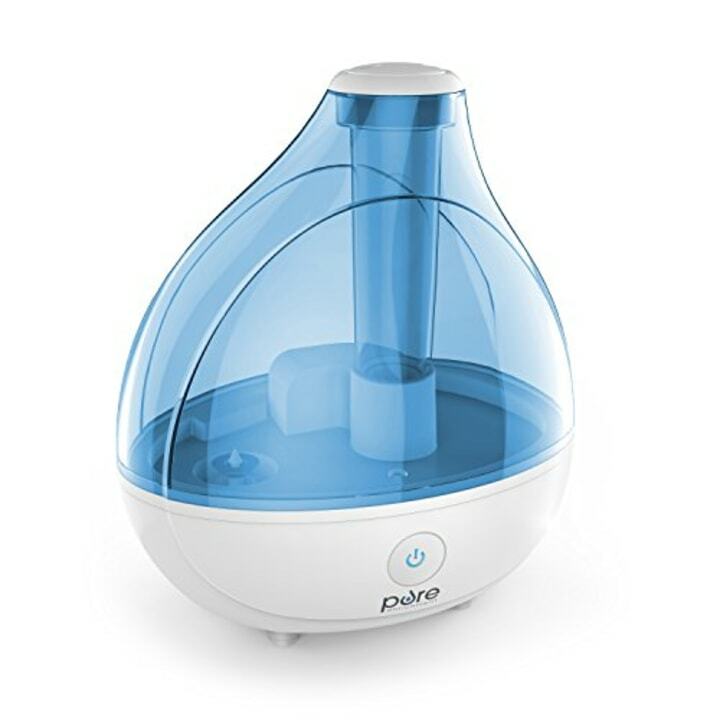 A cool mist humidifier is best for little kids, as there’s no risk of burns, like some steam or evaporative models, said Pennington. 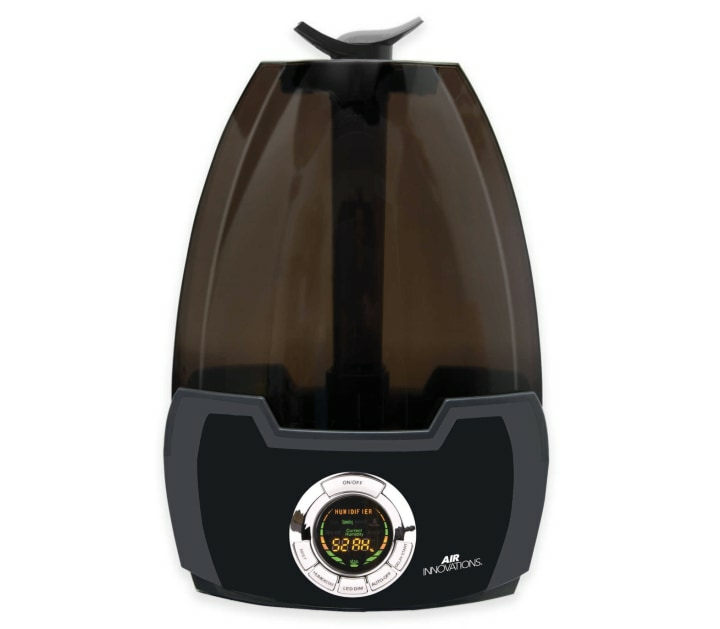 This one’s great because it’s easy to use and clean, has a control dial, automatically shuts off and its teardrop shape looks cute, too. Steam models tend to disperse fewer minerals into the air, said Pennington, though they still need to be cleaned. The best part: This one will remind you to clean it, so you’ll never forget. And, it has a handy built-in humidity monitor, too. Also available at Home Depot. 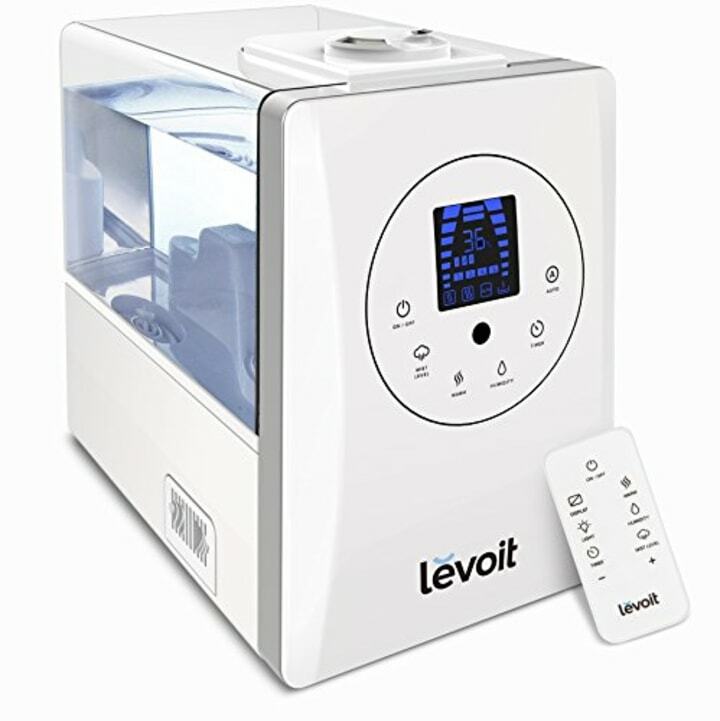 This larger in-room model holds a whopping four gallons of water, and it can humidify rooms up to 1,000 square feet. 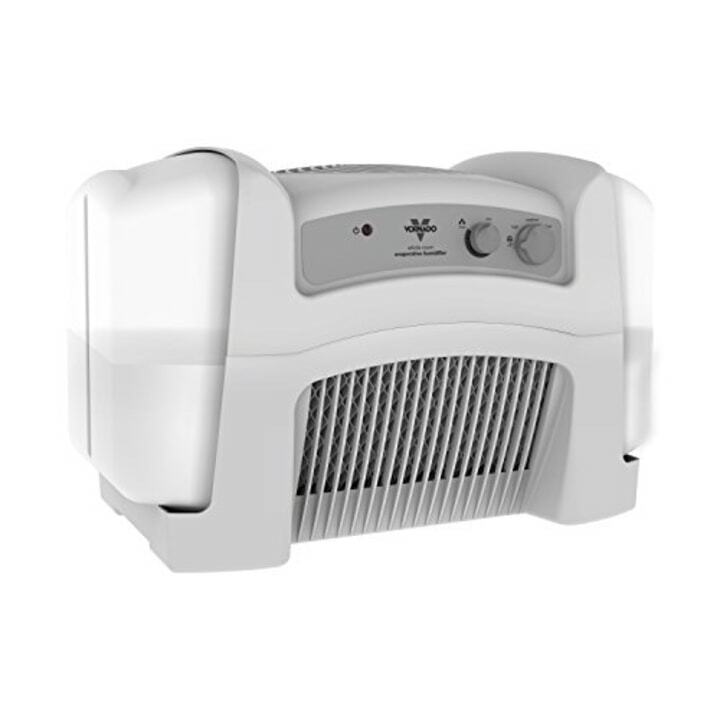 This one creates both warm mist (for fast humidifying) and cool mist (to humidify an air-conditioned room in the summer). The bells-and-whistles are great, too, including a built-in humidity sensor, remote control, and aromatherapy box. The built-in humidi-stat monitors and maintains the desired humidity level in a room, making this one hands-off model.